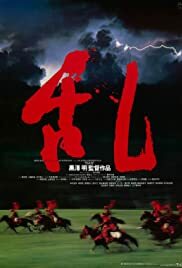 I would agree with Ebert's review on a point, that Akira Kurosawa, legendary director of such samurai classics as Seven Samurai, Yojimbo, Hidden Fortress, and Kagemusha, as well as human dramas like Rashomon, The Lower Depths, and Red Beard, could really best direct this film in his old age. 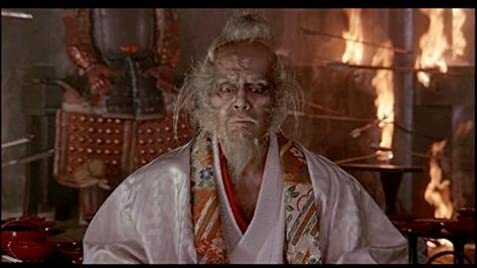 There's something about his version of the doomed King Lear of Shakespeare, his Lord Hidetora Ichimonji that could be truly captured by someone in old age. 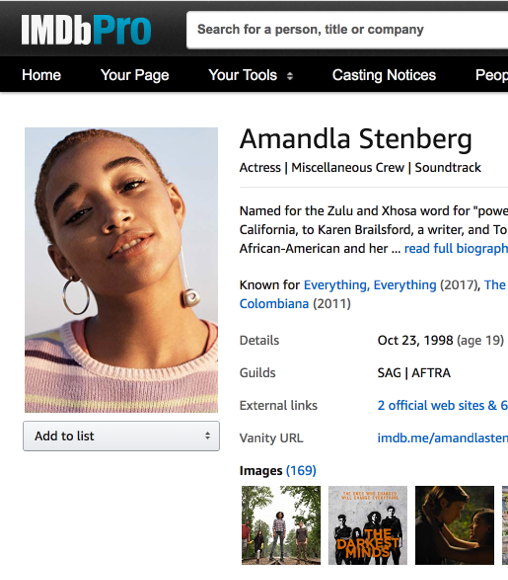 Not to say that directors can't make great films when they're young, or in middle age, about a man in the dark days of the golden years (About Schmidt, Tokyo Story, Bob Le Flambeur, and Kurosawa's own Ikiru come to mind). But it's clear that Kurosawa must've seen or felt or understood at least an element of Hidetora's character, something that goes beyond tragedy that is stuck with all who are mortal. At one point when Hidetora is in a wandering, dazed state he says "I am lost", to which his companion/caretaker Kyoami responds "Such is the human condition." Was Kurosawa lost as an artist and filmmaker as he tried to get his epic (which at the time of it's filming was the most expensive Japan had seen, and got some extra backing from outside European backers) off the page and onto celluloid? Hard to say, but the end result displays that even in his later days he could create a work so wonderful, so sad, so brutal, and so human that it will remain timeless. If Kurosawa deserves praise for look of the film, the pacing, the editing, every single painstakingly storyboarded (painted) shot, and his direction with the two battle sequences as well as with the quieter, more compelling scenes with the actors, the man who plays Hidetora deserves some as well (like any production of King Lear, including Godard's wild treatise with Burgess Meredith in the lead role, the actor is as important as the writer). Tatsuya Nakadai, who had roles in past Kurosawa films as a young man in Yojimbo (the gunslinger) and Sanjuro (the opponent), is awe-inspiring. Early in the film, after a mind-shattering dream, his character decides to split up his kingdom unto his three sons (Jiro, Saburo, and getting the first castle and all control, Taro), he still feels in control, and has the look of a Lord with just the right level of stubbornness and, unfortunately, naivety. Then, as everything he owns crumbles before him, there is one scene that struck me as remarkable, and then for the rest of the film I couldn't take my eyes off of Nakadai whenever he was on screen. It involves the first battle sequence, in which one of his son's comes to take over a castle, and killing all of Hidetora's men. Look at Nakadai in the scene where he's sitting down stone-faced amid the chaos going on outside, and then as he somehow manages to walk out, the fellow soldiers making way for him. He then sees one of his sons, the betrayer, and he doesn't say a word- he's already decided that his son Taro has gone too far with his position, as he rules over his domain and scares the peasants right out of the picture- and he simply walks away, as his family continues to crumble under corruption of the mind and heart. It's a sequence like that though, where the great Lord makes such a radical change, where Kurosawa and Nakadai have some of their greatest time ever on a screen. As the filmmaker treats the battle, up to a point, like a feudal-Japanese version of a Eisenstein battle (no talk, no sound effects, just the eerie, sorrowful score here applied by Toru Takemitsu) with devastation and visceral nature taken to a poetic, thoughtful level, the actor's eyes and body language are, well, indescribable almost. And if Nakadai gives the finest male performance of the film, credit is equally due to the pivotal female character, Lady Kaede (Mieko Harada), who is like a Lady Macbeth taken to the next level. This is a character that's seen Lord Ichimonji destroy his castle when she was young, and now that she has her son(s) right in the palm of her hand, she'll have her revenge in guise of ego-feeding. I may not be able to recommend Ran on one level, despite it being on the painter's equivalent of a splendorous, seething portrait of royalty. Kurosawa takes his time telling the story, and to some it might even feel longer than his epic Seven Samurai. This is a work heavy on emotional nuance, on how the characters (in particular Hidetora) look unto their surroundings, how the presence of destruction and war and slayings are traumatic as opposed to being 'cool' in a stylistic way. If you're looking for a slam-bang action thriller look, elsewhere. But if you're looking for a mature film about life, death, loss, and the bonds that are kept within families, the mind, and how we accept and give forgiveness (a blind character named Lord Tsurumaru is stunning from a certain point of view), this is it. As well for the Shakespeare fan it's an absolute must-see, and it may even turn some onto Shakespeare's classic due to the fact that this film, much like Throne of Blood, contains none of the language style used in the source.